We all visit the doctor regularly and expect to get all the information we need while we’re there. However, many times, patients leave with more questions than answers. According to Business Insider, most doctors spend about 15 minutes with a patient during their appointment. 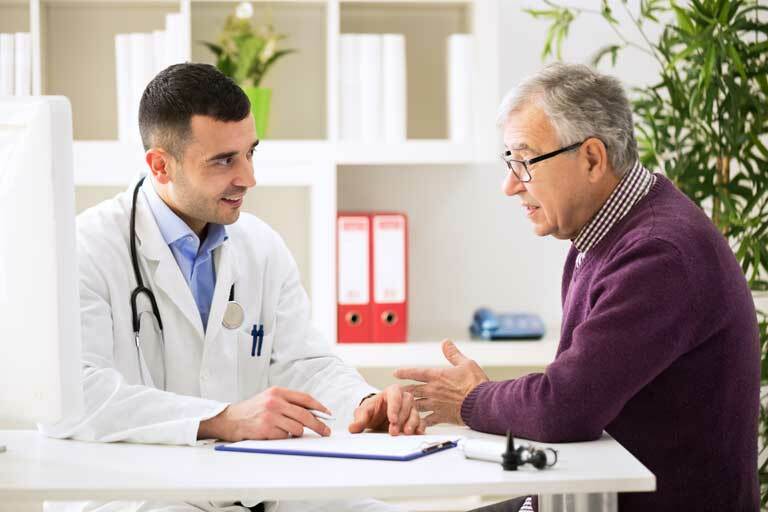 While it seems that time with your doctor may be increasingly limited, it’s important to come into your appointment prepared with questions to maximize time with your doctor. Here are five important questions to ask your doctor at your next appointment. What changes should I be reporting? As you’re aging, there will be specific changes that should be noted for your doctor. These changes will be gradual and at your body’s own pace. The rate of this pace has largely to do with your lifestyle choices, as well as your family patterns. This may include change in sleep patterns, memory loss, body composition and/or vision loss. Although these are all normal changes, it’s important to keep your doctor updated on these. They may clue your doctor in to any potential conditions you may be developing or lifestyle changes you may need to make. What should I expect with this diagnosis? When given a new diagnosis, it is common for a doctor to explain what the condition is, but they may not automatically give information as to what symptoms are expected as it progresses. It is important to ask what to expect so you have a full understanding of not only the cause, but the way your body may react to the condition. What are some side effects I should be aware of when taking this medication? This is important to note in case the medication isn’t working properly or is affecting you negatively. If you begin to notice side effects, document them so you can update your doctor at the next appointment. If you are already taking medication and have noticed side effects, keep those documented as well and bring them to the appointment with you so your doctor can make appropriate changes. In addition, take note of all medications, supplements or vitamins you are currently taking. Sometimes, supplements may interact with medications in a negative way. By coming prepared, your doctor can decipher what you should and should not continue taking. Am I getting the right nutrition? After updating your doctor on current medications and supplements, he or she will be able to refer to your records and decide on any bloodwork or tests that you may need to receive. Once this information is fulfilled, they will be able to determine any vitamins you are lacking. Vitamin deficiency may be the cause of problems you may be experiencing. A simple supplement addition may be what regulates and sustains your health! What are some exercises and activities I should be doing to help myself? As stated before, the aging process is largely impacted by your daily lifestyle choices. The more physical activity you are able to partake in, the healthier you will be. Make sure to mention activities you are already partaking in, and ask for any suggested activities to improve strength, balance or memory. Activities such as walking, gardening and reading are commonly recommended if you aren’t already performing them.